The common calculation tools found in the market are generally based on heavily simplified calculation methods (catalog methods), in which the bearings are considered in a rigid and isolated manner rather than an elastic concept at their precise location in the shaft system. This means that no account is taken either of the load and displacement characteristics of the bearings due to shaft deflection or of elastic behavior of the rolling element contacts. Furthermore, the internal load distribution in the bearings – which plays a decisive role in the fatigue life – is normally determined by means of approximation methods. BEARINX-online can be used to determine the influence of shaft deflection and the elasticity of rolling contacts on the bearings. In the case of the internal load distribution, the profile data of the rolling elements and the raceways are taken into consideration. In order to calculate the operating clearance, input wizards are available that allow information to be entered on temperatures, tolerances and roughness of the rings and bearing seats. In addition, stiffness at the operating point can be calculated. 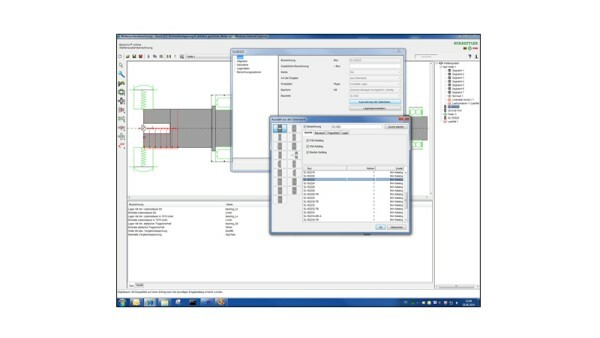 BEARINX-online helps you calculate single-axis shaft systems with nested bearing supports. BEARINX-online uses the same calculation models and algorithms as in the full version of BEARINX, since both programs are based on the same source code. Bearings and bearing data from the complete Schaeffler catalog range are available in an integrated database and can be transferred into the model. The calculations themselves are performed on a powerful calculation server located at Schaeffler. Calculation files created in BEARINX-online are compatible with the full version of BEARINX, which means that these calculation files can be easily exchanged, giving easier communication with our engineering service and avoiding duplicate work. 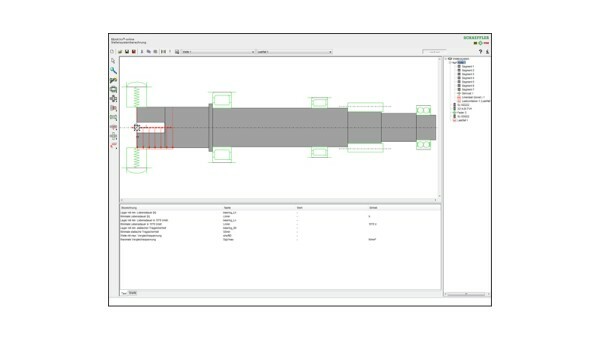 Analysis of your design variants is aided by the transparent documentation of results in HTML format and the graphical representation of shaft reactions and internal load distribution in the bearings as well as Hertzian pressure curves for roller bearings. A help system and an online learning program helps you to utilise the full potential of BEARINX-online. BEARINX-online offers detailed calculation of the modified reference rating life in accordance with ISO TS 16281 (English) or DIN 26281 (German) based on the current level of technical expertise. The development of BEARINX-online is not intended as a way of transferring advice and calculation services from Schaeffler to the customer. Quite the opposite - we want to work with you more closely than ever. The objective is to make a suitable preliminary selection of bearings in the early design phase, in order to shorten development times within your Company. If you request 'Approval' for BEARINX-online Shaft Calculation, this initiates an internal decisionmaking process which, if successful, will lead to the offer of a contract. Once the contract is signed, we will create a logon and invite you to attend a one day training course at the Schaeffler Academy in Herzogenaurach. This will be followed by final authorization to use the calculation module. 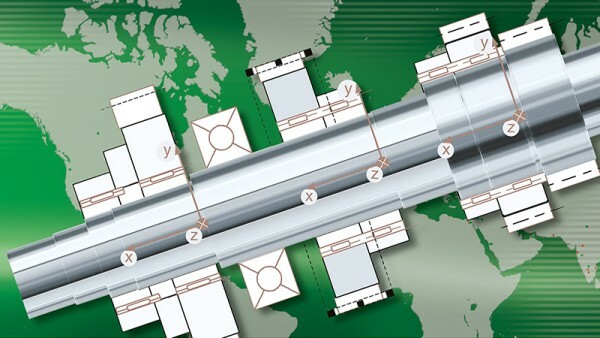 For colleges, the introduction of BEARINX-online Shaft Calculation is free of charge. 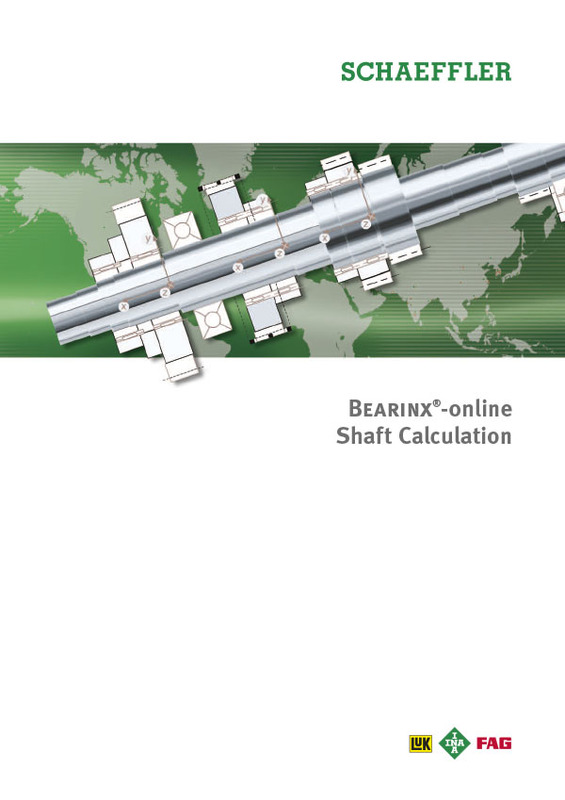 BEARINX-online Shaft Calculation is intended for provisional design of products only. For final design and selection of products, assistance should be sought from the relevant parts of the Schaeffler engineering service.